“By being involved with GCP, I’ve had more opportunities to travel to the developing world and witness the problems that local farmers in these countries are facing, as well as to meet with the local researchers who are trying to overcome these problems. It has made me appreciate that these researchers also need the capacity to sustainably deal with agricultural problems once the project money starts to dry up.” – Leon Kochian (pictured), Professor, Cornell University, USA; and Director of Robert W Holley Center for Agriculture and Health, United States Department of Agriculture – Agricultural Research Service. Also Product Delivery Leader for GCP’s Comparative Genomics Research Initiative. For as long as Leon Kochian can remember, he’d always wanted to be a biologist. Having completed a Bachelor’s Degree in Botany at the University of California, Berkeley, and a PhD in Plant Physiology at the University of California, Davis (both in USA), Leon joined the United States Department of Agriculture based at Cornell University. For 30 years, he has combined lecturing and supervising duties at Cornell, with his quest to understand the genetic and physiological mechanisms that allow some cereals to tolerate acidic soils. Leon and Cornell University have been involved with GCP since the Programme’s inception in 2004, playing a lead role in GCP’s Comparative Genomics Research Initiative, of which Leon is the Product Delivery Coordinator. Cornell University is a member of the GCP Consortium, with Leon as Cornell’s representative in the GCP Consortium Committee. During the first phase of the project, Leon led a team comprising of researchers from Cornell, EMBRAPA in Brazil and Moi University in Kenya. 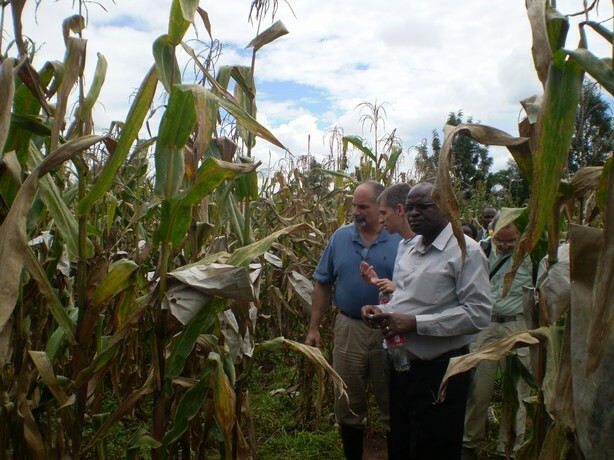 Leon (left) with project colleagues, Jurandir Magalhães (EMBRAPA) and Sam Gudu (Moi University) in a maize field in Kenya in May 2010. “We had been working for many years with both EMBRAPA and Moi University to identify the genes associated with aluminium tolerance in sorghum and maize and saw the potential to apply our research and expand it to explore other cereals such as rice and wheat,” explains Leon. 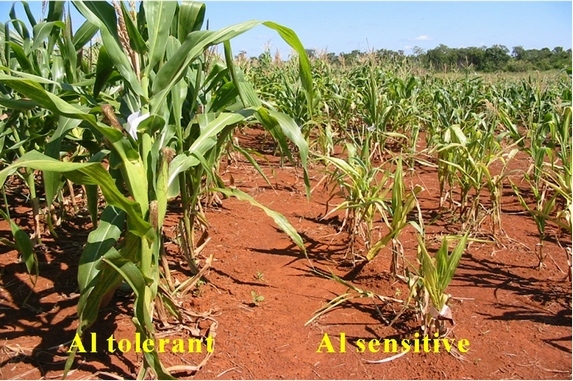 During GCP Phase I (2004–2008), the team successfully identified and cloned the major sorghum aluminium tolerance gene (AltSB). In Phase II (2009–2014), they are working towards breeding aluminium-tolerant sorghum lines for sub-Saharan Africa as well as applying what they have learnt to discover similar genes in rice and maize. According to Leon, the funding from GCP has been very beneficial in making significant research progress on the projects he’s been involved with so far, and he is also quick to note the unexpected and very welcome non-monetary benefits from being involved with GCP. 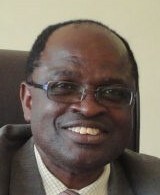 Working with GCP, Leon has designed and run workshops to train African scientists on molecular breeding techniques and hosted several postgraduate researchers at Cornell. He is now working with GCP collaborators to develop a database that will help African scientists find potential collaborators in USA and the rest of the Americas. “It’s like match.com for collaborative research and will hopefully foster greater collaboration between the two continents,” says Leon. The three faces of Leon: (1) in the lab in Cornell; (2) in the field, courtesy of USDA–ARS; and, (3) delivering opening remarks as Director of the Robert W Holley Center. With regard to his GCP projects soon coming to a close when GCP sunsets in December 2014, Leon hopes he and team will succeed in meeting all their goals, but even if they don’t, he’s sure they’ll continue the research and try to discover more about aluminium tolerance. More power to them! During her bachelor’s degrees, Claudia was increasingly drawn to plant genetics. She decided to pursue this field further and completed a Master’s degree in Genetics and Breeding, focusing on maize. She then completed a PhD in Comparative Genomics where she split her time between California and Brazil. “For my PhD, I got a scholarship from the Brazilian Council for Scientific and Technological Development which included international training in San Diego, California. During my PhD, I focused on comparative genomics for sugarcane, maize and sorghum, which involved genetic mapping and markers,” Claudia reveals. Returning to Brazil after two years in California, Claudia joined the Brazilian Agricultural Research Corporation, commonly referred to as EMBRAPA (Empresa Brasileira de Pesquisa Agropecuária), where she has worked for the last 15 years, since 1999. Preparing to put her shoulder to the wheel, literally? Claudia in a maize field at the International Maize and Wheat Improvement Center (CIMMYT), Tlaltizapan, Mexico, in January 2010. 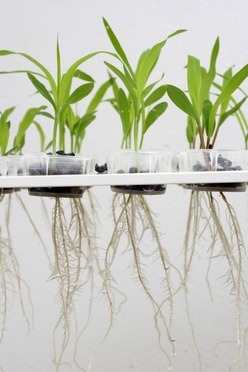 Maize plantlets cultivated in nutrient solution, the methodology Claudia and her team use to evaluate aluminium tolerance. March 2014. Photo 1: Rhyzobox containing two layers of Cerrado soil – a corrected top-soil and lower soils with 15 percent aluminium saturation. We can see that near-isogenic lines (NILs) introgressed with the aluminium-tolerance QTL (qALT6) that encompasses ZmMATE1 show deeper roots and longer secondary roots in acidic soils, whereas the roots of L53 are mainly confined in the corrected top soil. Photo 2: Maize ears, representing the improved yield stability in acidic soils of a NIL per se and crossed with L3. NILs have the genetic background of L53 introgressed with qALT6, the major aluminium-tolerance QTL. Crop researchers including plant breeders across five continents are collaborating on several GCP projects to develop local varieties of sorghum, maize and rice, which can withstand phosphorus deficiency and aluminium toxicity – two of the most widespread constraints leading to poor crop productivity in acidic soils. These soils account for nearly half the world’s arable soils, with the problem particularly pronounced in the tropics, where few smallholder farmers can afford the costly farm inputs to mitigate the problems. Fortunately, science has a solution, working with nature and the plants’ own defences, and capitalising on cereal ‘family history’ from 65 million years ago. Read on in this riveting story related by scientists, that will carry you from USA to Africa and Asia with a critical stopover in Brazil and back again, so …. … welcome to Brazil, where there is more going than the 2014 football World Cup! Turning from sports to matters cerebral and science, drive six hours northwest from Rio de Janeiro and you’ll arrive in Sete Lagoas, nerve centre of the EMBRAPA Maize and Sorghum Research Centre. EMBRAPA stands for Empresa Brasileira de Pesquisa Agropecuária ‒ in English, the Brazilian Agricultural Research Corporation. 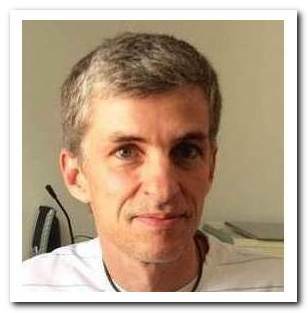 Jurandir Magalhães (pictured), or Jura as he prefers to be called, is a cereal molecular geneticist and principal scientist who’s been at EMBRAPA since 2002. “EMBRAPA develops projects and research to produce, adapt and diffuse knowledge and technologies in maize and sorghum production by the efficient and rational use of natural resources,” Jura explains. Such business is also GCP’s bread and butter. So when in 2004, Jura and his former PhD supervisor at Cornell University, Leon Kochian, submitted their first GCP project proposal to clone a major aluminium tolerance gene in sorghum they had been searching for, GCP approved the proposal. Cloning the AltSB gene would prove to be one of the first steps in GCP’s foundation sorghum and maize projects, both of which seek to provide farmers in the developing world with crops that will not only survive but thrive in the acidic soils that make up more than half of the world’s arable soils (see map below). 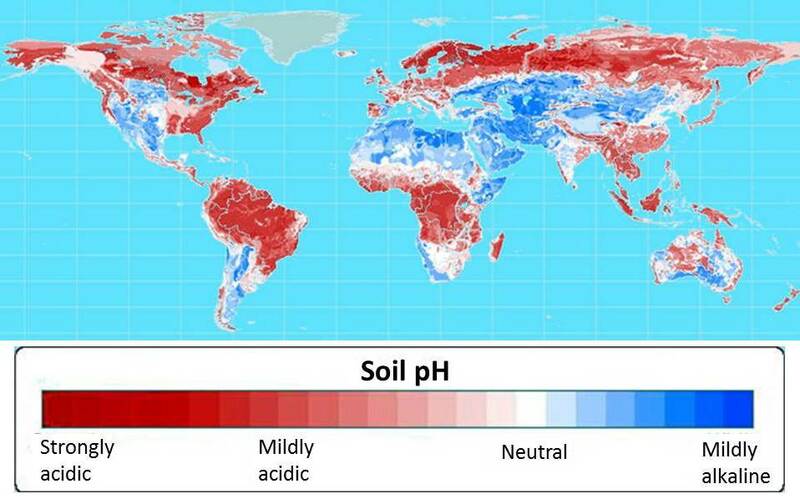 More than half of world’s potentially arable soils are highly acidic. For 30 years, Leon Kochian (pictured below) has combined lecturing and supervising duties at Cornell University and the United States Department of Agriculture, with his quest to understand the genetic and physiological mechanisms behind the ability of some cereals to withstand acidic soils. 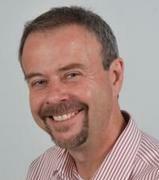 Leon is also the Product Delivery Coordinator for GCP’s Comparative Genomics Research Initiative. Aluminium toxicity is associated with acidic soils and is the primary limitation on crop production for more than 30 percent of farmland in Southeast Asia and Latin America, and approximately 20 percent in East Asia, sub-Saharan Africa and North America. Aluminium ions damage roots and impair their growth and function. This results in reduced nutrient and water uptake, which in turn depresses yield. “These effects can be limited by applying lime to increase the soil’s pH. However, this isn’t a viable option for farmers in developing countries,” says Leon, who was the Principal Investigator for the premier AltSB project and is currently involved in several off-shoot projects. Working on the understanding that grasses like barley and wheat use membrane transporters to insulate themselves against subsoil aluminium, Leon and Jura searched for a similar transporter in sorghum varieties that were known to tolerate aluminium. Wheat, maize, sorghum and rice are all part of the Poaceae (grasses) family, evolving from a common grass ancestor 65 million years ago. Over this time they have become very different from each other. However, at a genetic level they still have a lot in common. Over the last 20 years, genetic researchers all over the world have been mapping these cereals’ genomes. These maps are now being used by geneticists and plant breeders to identify similarities and differences between the genes of different cereal species. This process is termed comparative genomics and is a fundamental research theme for GCP research as part of its second phase. Until August 2013, Rajeev had oversight on GCP’s comparative genomics research projects on aluminium tolerance and phosphorus deficiency is sorghum, maize and rice, as part of his GCP role as Leader of the Comparative and Applied Genomics Theme. Having spent more than a decade identifying and cloning AltSB, Jura and Leon have recently turned their attention to identifying and cloning the genes responsible for phosphorus efficiency in sorghum. Luckily, they weren’t starting from scratch this time, as another GCP project on the other side of the world was well on the way to identifying a phosphorus-efficiency gene in rice. Led by Matthias Wissuwa at JIRCAS and Sigrid Heuer at IRRI, the Asian base GCP project had identified a gene locus, which encoded a particular protein kinase that allowed varieties with this gene to grow successfully in low-phosphorous conditions. They termed the region of the rice genome where this gene resides as ‘phosphorus uptake 1’ or Pup1 as it is commonly referred to in short. Read more about the mechanics of Pup-1 and the evolution of the project. Jura and Leon are working on the same theory as IRRI and JIRCAS, that larger and longer roots enhance phosphorus efficiency. They are identifying sorghum with these traits, using comparative genomics to identify a locus similar to Pup1 in these low-phosphorus-tolerant varieties, and then verify whether the genes at this locus are responsible for the trait. “So far, the results are promising and we have evidence that Pup1 homologues may underlie a major QTL for phosphorous uptake in sorghum,” says Jura who is leading the project to identify and validate Pup1 and other phosphorus-efficiency QTLs in sorghum. 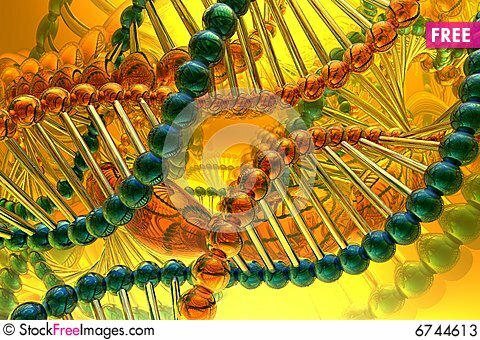 QTL stands for ‘quantitative trait locus’ which refers to stretches of DNA containing ‒ or linked to ‒ the genes responsible for a quantitative trait “What we have to do now is to see if this carries over in the field, leading to enhanced phosphorus uptake and grain yield in low-phosphorus soils,” he adds. Jura and Leon are also returning the favour to IRRI and JIRCAS and are collaborating with both institutes to identify and clone in rice similar genes to the AltSB gene in sorghum. “These collaborations are really exciting! They make it possible to answer questions that we could not answer ourselves, or that we would have overlooked, were it not for the partnerships,” says Sigrid. In GCP Phase II which is more application oriented, projects must have objectives that deliver products and build capacity in developing-world breeding programmes. One collaboration Jura was most pleased to continue was with his colleague and friend, Sam Gudu (pictured), from Moi University, Kenya. Sam has been collaborating with Jura and Leon on several GCP projects and is the only African Principal Investigator in the Comparative Genomics Research Initiative. Sam is currently working on several projects with these partners looking at validating the genes underlying major aluminium-tolerance and phosphorus-efficiency traits in local sorghum and maize varieties in Kenya, as well as establishing a molecular breeding programme. Claudia Guimarães (pictured) is a maize geneticist at EMBRAPA. But unlike Jura, her interest lies in maize. Working on the same comparative genomics principle used to identify Pup1 in sorghum, Claudia has been leading a GCP project replicating the sorghum aluminium tolerance work in maize. A maize field at EMBRAPA. Maize on the left is aluminium-tolerant while the maize on the right is not. 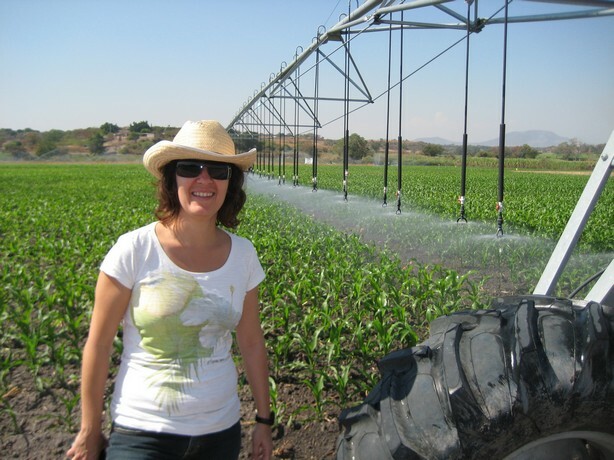 Using molecular markers, Claudia and her team of researchers from EMBRAPA, Cornell University and Moi University have developed near-isogenic lines from Brazilian and Kenyan maize varieties that show aluminium tolerance, with ZmMATE present. From preliminary field tests, the Brazilian lines have had improved yields in acidic soils. What has pleased Jura and other Principal Investigators the most is the leadership that African partners have taken in GCP projects. With GCP coming to an end in December 2014, Jura is hopeful that his and other offshoot projects dealing with aluminium tolerance and phosphorus efficiency will deliver on what they set out to do. In the foreground, left to right, Leon, Jura and Sam in a maize field at the Kenya Agricultural Research Institute (KARI), Kitale, in May 2010. They are examining crosses between Kenyan and Brazilian maize germplasm.